Coconut Cinnamon Granola | Naturally. I recently realized how lackadaisical I have gotten on the food I eat. 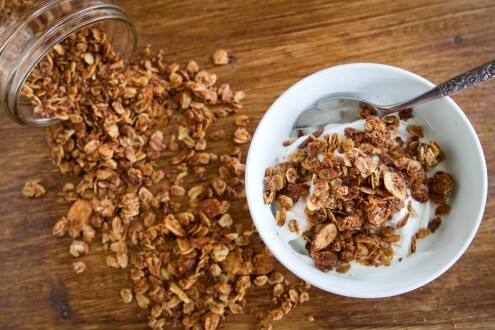 When I lost weight my two main breakfast were egg whites or yogurt with granola and honestly, they always kept me going. Then I started to loose my taste for them and some how recently, I’ve started eating cereal again- almost everyday. What really got me was when I saw an article about how most “natural” cereals contain GMOs. I’ve tried for awhile now to reduce the amount of highly-processed foods I eat and for me this was kind of a wake-up call that I’ve stopped paying attention and if it’s labeled “natural” (from a companies I like to eat,like Kashi), I assume it’s fine. So, I’m taking my food back and I told myself that I was going to make granola to replace my cereal this week. I’ve been infatuated with coconut oil and from there I decided to base my granola recipe. I also purchased from ground flax seed in hopes that it would help bind the granola together (I’m not sure how this turned out- more experimenting is needed). In a large bowl stir all the dry ingredients together except the cinnamon. In a small pan over medium-low heat, whisk together agave, coconut butter (should be warmed until liquid), coconut milk, and cinnamon. Once mixture is hot (but before it boils) pour over dry ingredients and stir until everything is covered. 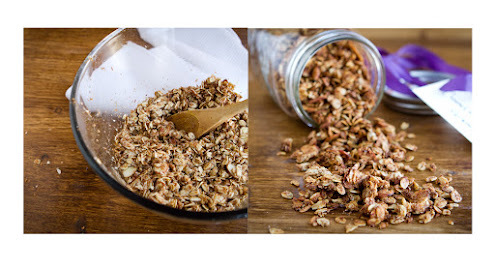 Cover a sheet tray with parchment paper and pour out granola. 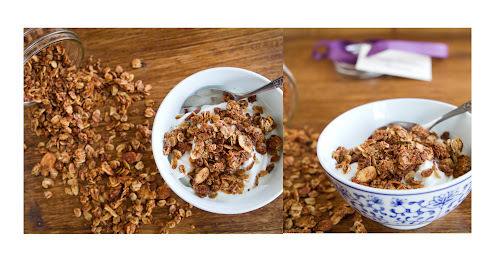 Pat granola down into a cohesive square , sprinkle with sucanat, and place in oven. Bake for 15 minutes, remove from oven and with a spatula, flip granola (stirring loosens any chunks that may be forming.) Place back in the oven and bake for another 10-15 minutes and repeat the flip. Finally, bake for another 5-10 minutes until granola is browned and dried out. Remove from the oven and let cool. Store in an airtight container. I’m fighting a lot of those little things that creep back in too. Funny how that happens. 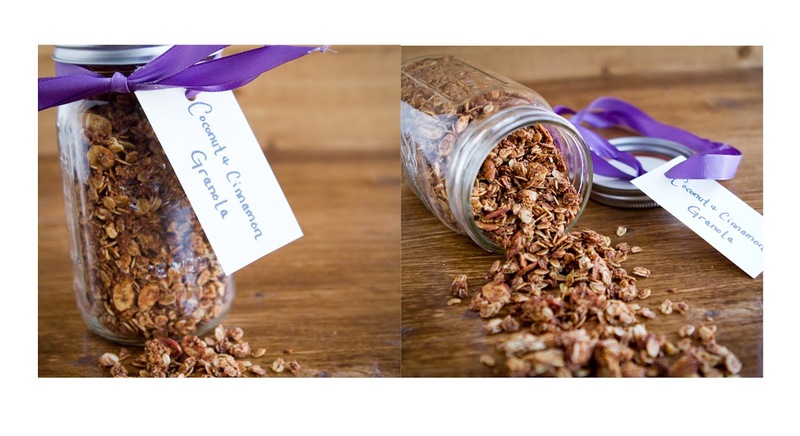 The granola looks amazing and I love making my own granola! I’ll save the recipe 🙂 Thank you for sharing. What a cool combo of flavors! And looks super healthy! I LOVE YOUR STUFF! Thank you for all your hard work! I am amazed at how healthy, yet quick your recipes are, and with three kids, a farm, and a job…I am thankful! As for your diet coke…my way of kicking the soda habit came with brewing my own Kombucha…dont beleive the bunk on the internet from all the sceptics…I have been brewing…in my clean kitchen…for a year. My kids drink it and my husband LOVES it! I will be glad to share info with anyone who is interested:) thanks again!! I went to the store and bought everything except the coconut butter I cant find it! Please Help!